shooter returns for its 35th Anniversary in a shower of laser blasts, breathless barrel-rolls and smoking missiles. ● The authentic retro, sci-fi experience returns for Galaga’s 35th Anniversary. ● Weave through endless waves of original enemies, including the Bee, Butterfly, Scorpion and many more. 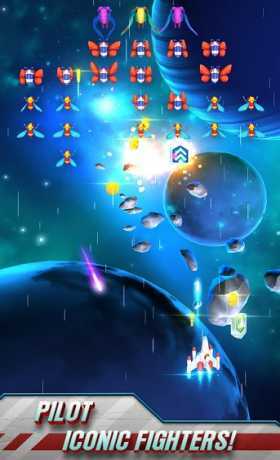 ● Evade the treacherous tractor beam of Mother Galaga in battle against the huge alien boss! 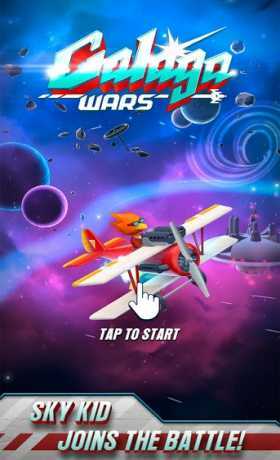 ● Play as Galaga fighter, as well as other legendary Namco starshipsincluding Xevious, Galaxian, Star Blade and many more. 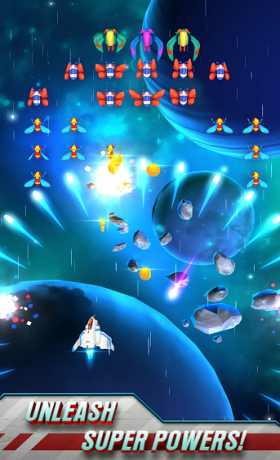 ● Double your firepower by rescuing captured friends’ ships and merging into twin mode. ● Enhance your space-faring abilities by upgrading and leveling up your craft. ● Blast through alien waves with 4 unique abilities per ship including laser, explosive shot, space mines, ghost shield and more.